Americans see ups and downs in health care | Lewis & Ellis Inc. The issues around health care have been in the news a lot over the course of the last decade, and lawmakers at the state and federal levels are always on the lookout for ways to improve outcomes and keep costs down. To that end, it's important to understand what people do and don't like about the current health care setup in the U.S. and look for ways to better accommodate their needs on an ongoing basis. For instance, while nearly two-thirds of respondents in a recent survey said they are either completely or mostly satisfied with their dealings in the health care system overall, 45 percent fear that one major problem will lead them to slide into bankruptcy, according to Gallup. Indeed, 25 percent of those polled said they avoided seeking treatment at some point in the last year because of the potential costs involved, meaning an estimated 65 million people fell into this category. Almost half also said they would have no way of knowing what a trip to the emergency room would end up costing them. Today, fewer than half of respondents said they felt Americans received health care that was among the best in the world, the poll found. This despite the fact that the U.S. ranked 31st of 36 major countries in infant mortality, and its health expenditures far outpace even the second-place country on the list. In fact, more than three-quarters also thought the rising costs in the industry would cause lasting damage to the national economy. Nationwide, Americans borrowed about $88 billion to cover their medical expenses, the report said. Furthermore, people seem to understand intrinsically that the rate of health cost increases poses a serious financial issue; when given a choice between an immediate raise of 10 percent of their household income or a five-year freeze on health cost hikes, people chose the latter 61 percent of the time. Americans remain quite concerned about their health care costs. A recent study by the Leonard Davis Institute of Health Economics at the University of Pennsylvania, titled "United States of Care," found that as of 2016 - the latest year for which complete data was available - the average health insurance premium made up about 30 percent of median incomes, though that number varied from one state to the next. However, the national number grew from 28 percent of incomes to 30 percent between 2010 and 2016, and at least some growth was seen in all but four states, plus the District of Columbia. Moreover, the number of states where the cost burden exceeded 30 percent jumped from five to 13, and the number of states where that expenditure was under 25 percent slid from 15 to just three. "From 2010 to 2016, premiums increased 27%." From 2010 to 2016, premiums increased 27 percent overall, from just under $13,900 to more than $17,700, despite the fact that the Patient Protection and Affordable Care Act was designed to keep year-over-year hikes low, the study found. But over the same period, the average household income only grew 19.8 percent, from almost $49,300 to just over $59,000. In theory, that means Americans saw premiums rise about $3,800 while incomes increased by $9,700 - a net increase of about $5,900 - but that does not include the ways in which deductibles have grown. On a national basis, deductibles grew from an average of $1,975 in 2010 to almost $3,100 by 2016, representing an increase of more than 55 percent and further eating into that income growth, the researchers found. In addition, there were three states where deductibles more than doubled over this period. Furthermore, the share of premiums paid by employers continued to shrink, putting greater burden on workers, from more than $3,700 to nearly $5,000. Across the country, some of the largest states do a fairly good job of regulating health spending overall, but that means less populous states are also at greater risk of seeing their residents pay substantially more for coverage and care, according to new analysis from Health Policy Ohio. For instance, a number of more populated Massachusetts, Connecticut, Massachusetts, Minnesota, New Jersey and so on tend to rank highly when it comes to the overall health of their population. But most of those states actually spend relatively little for treatment, all ranking in the bottom quarter of states for health expenditures. At the opposite end of the spectrum, many southern states rank quite highly - often in the top quartile of the country - for health spending but in the bottom quartile for health outcomes, the report said. There may be many reasons for this, including a lack of socioeconomic opportunity for many within those states, and a general lack of state-based health infrastructure, but other states - such as California and Texas - see significant spending but also stronger health outcomes. One of the biggest hurdles for Americans dealing with these problems is that, as they age, they are more likely to seek medical care for all sorts of issues that didn't exist in their younger years. Recent data from Fidelity Investments shows that a couple of 65-year-olds that retire in 2019 will likely pay about $285,000 for their health costs over the remainder of their lives, up from $280,000 a year earlier. And while that's a smaller year-over-year increase (3.6 percent) than was seen from one year to the next since 2015, it nonetheless seems to have many pending retirees concerned about ongoing trends. "65-year-old couples that retire in 2019 will pay about $285k for their health costs in retirement." 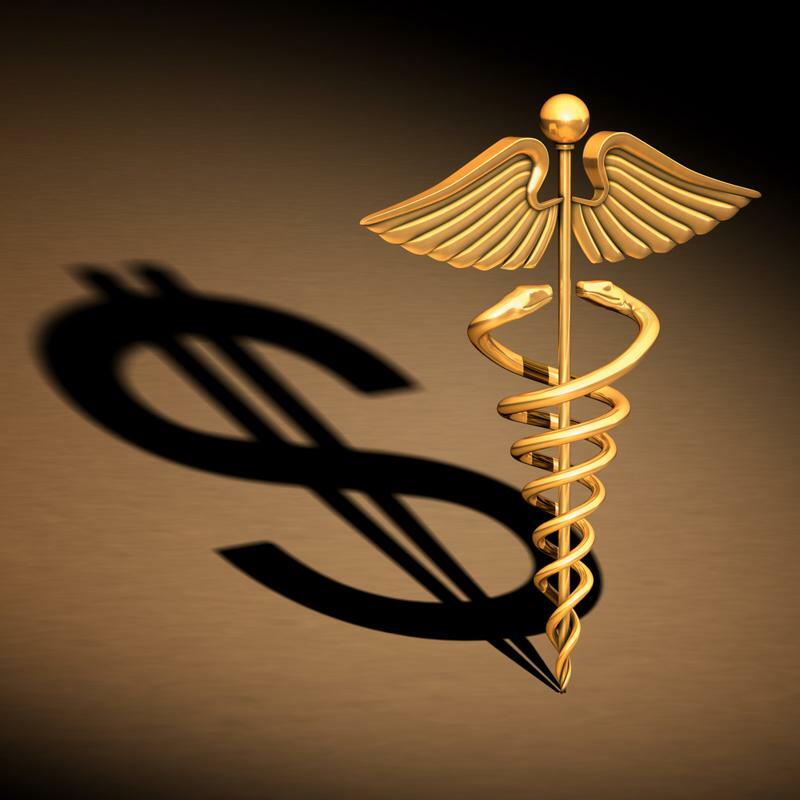 "Paying for health care - before and in retirement - continues to be top-of-mind for Americans, and understandably so as it's a cost that can vary significantly by individual and is difficult for many to predict," said Hope Manion, senior vice president, Fidelity Workplace Consulting. While Medicare is in place to help cover many health costs in retirement, it's not always easy for people to completely meet all their needs, and for that reason it's generally advisable to put as much money as possible into a tax-advantaged savings account, especially those specifically for future health care expenses, the report said. While health costs are likely to be much higher in the future - barring a substantial change in the national health care infrastructure - an average 35-year-old couple putting away just over $2,800 per year will see their savings accounts grow to nearly $288,000 by the time they're 65 (after making about $84,000 in contributions over those 30 years). While people are increasingly likely to avoid seeking treatment for various ailments because of the costs involved with even preventive care, the long-term impact of those decisions - both on their health and their future finances - are difficult to calculate, according to research from the Government Accountability Office. For substance abuse and mental health issues, for instance, only about 30 percent of the nearly 57 million people nationwide afflicted by them actually sought treatment. That includes some 17.2 million people over the age of 18 with untreated substance use issues, 3.7 million with serious untreated mental illness, and 22.9 million with various other mental illnesses for which they have not sought treatment, the GAO found. Another 22 million or so across all those categories are receiving regular treatment for the issues. In its research, the agency examined a number of studies on this issue and 20 of the 29 found that health costs were higher for people whose illnesses went untreated, and three more found a negligible difference, the report said. Part of the reason for those higher costs may be that people with behavioral health issues also have untreated physical ailments. However, as a general rule, when health problems go long periods of time without treatment, they worsen to the point that emergency or other higher-cost treatments eventually become necessary. "The U.S. spends 18% of its GDP on health care." While the majority of Americans feel that there's at least some form of health care crisis in the U.S. these days, there is also some optimism among policy experts and lawmakers that more can be done to cut expenditures, according to Barron's. Today, the nation spends about 18 percent of its gross domestic product on health care, well ahead of second-ranked Switzerland's 12 percent, and most other developed nations' range of 9 percent to 11 percent. A big chunk of that goes toward drug prices, which actually declined slightly in the last year but remain quite high, especially relative to other large nations, the report said. Moreover, the cost of emergency care is still disconcertingly high for many Americans and providers are working on ways to bring those down as well, such as with some companies in the industry now working together to create more walk-in clinics in existing drug stores. With so many lingering or pressing issues that aren't likely to go away any time soon, care providers, insurers and everyone else that has a stake in the long-term strength of the health care sector may need to do more to collaborate on solutions that work for consumers. By doing so, they might also be able to get a better handle on their own efforts to grow their business as time goes on. What does modern health insurance cover, and cost, for most consumers? For millions of Americans, the costs and uncertainty around health care and health insurance are growing all the time.